Ornaments can make a desk, mantel place or shelf stand out. 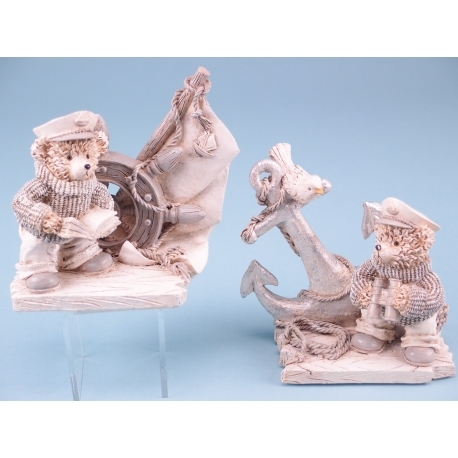 For those of your interested in quirky nautical pieces, then this Standing Sailor Bear with Decoration is perfect for you. Perhaps you already have a handful of ornaments, but your collection will not be complete without this piece. 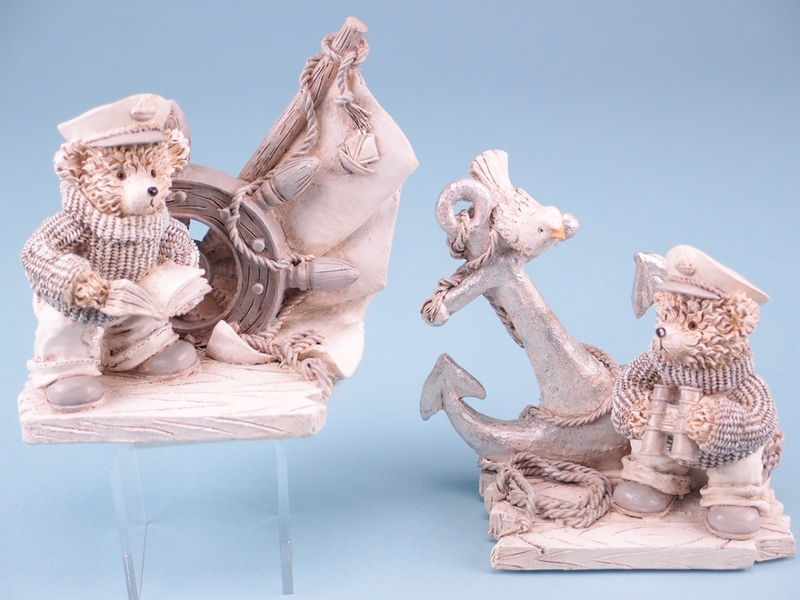 Both are incredibly detailed, with the bears dressed as sailors – complete with jumpers and caps. One of the figurines has a wheel of a ship embedded into the base, while the other has an anchor. The ornament has a beige finish with a hint of silver that catches the eye.